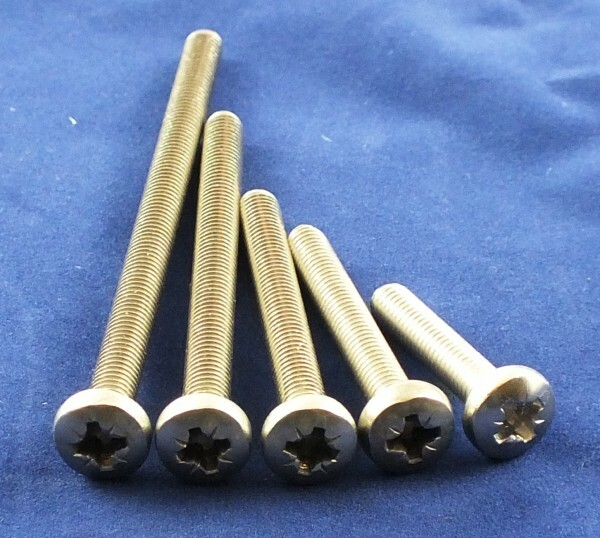 More From Kai Sports Ltd.
Top quality A4/316 Stainless Steel Screws to fit most popular fins and foils produced for Windsurfing and Kitsurfing boards and fins. Most Bi-Directional and MT Fins on Kiteboards. Be sure that your thread is M6 - there are a few Fins and Foils out there that are 1/4 ANC! If you are unsure and cannot measure the screw needed accurately, always insert the screw at least 4 complete turns very gently by hand - if this is easy, you can be pretty sure you have the correct choice and will not cross the thread and risk stripping it. 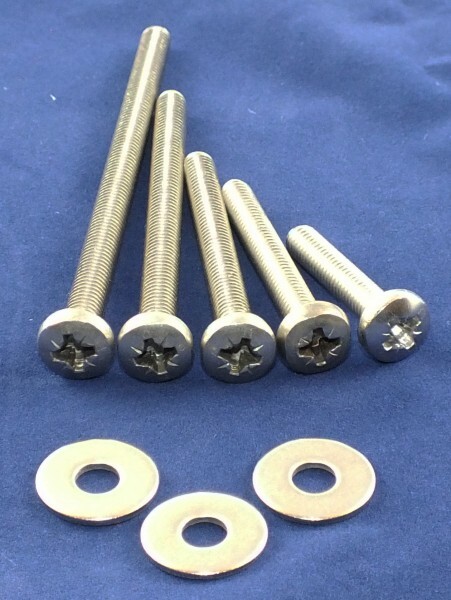 We have spare fin head inserts to fit most heads and can also supply screws with different heads (for instance, c/sunk) and have reasonable stocks of 1/4 ANC as well. The standard sizes of M6 Pozzi Pan we stock are 30, 45, 50, 55, 60, 65, 70, 75, 80, 90 and 100mm long - other sizes and custom lengths can be supplied - please e mail for advice?